Hey there! Thank you for taking the time to stop by the All Things Secured website and I’m glad to know you’re curious about who I am. By way of introduction, my name is Josh and ever since I was a small boy I have always been interested in technology. I don’t consider myself a “tech guru” or anything like that, but I have been deeply involved in online security for the past decade. The world of online security is confusing, I know. There’s so much news about security breaches and stolen identities nowadays – it’s almost enough to make you want to give up being online altogether! But there is a better way. I’ve endured numerous hacks, scams and identity thefts and my goal is to show you the simple tips and processes you can use to secure yourself online – even if you’re not “tech-savvy”! All Things Secured is a site that is dedicated to helping people better understand the risks they take with their security and identity online and how they can mitigate those risks. This site covers about any and everything having to do with online security, identity protection and internet safety. Reviews: A look at the technology – both tangible products as well as software – that we can use to secure our daily lives. Security Guides: Specific guides to help you secure your online banking, your email, your home network, your online credit profile and more. Security Tips: Tips on everything from passwords, to 2-factor authentication, and beyond! Connect on Twitter: Send me a tweet and I’ll get back to you quickly! Follow on Facebook: Follow VPN Video Reviews on Facebook for the latest updates. 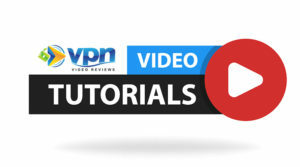 Subscribe on YouTube: Subscribe to VPN Video Reviews on YouTube for weekly videos!